When Brandy and Susan went on the hunt for preschools for their daughter, they had to consider the fact that they were a two-mom family. In Los Angeles, it is easier than most cities because there are quite a few LGBTQ families but they still had to carefully consider where they were putting their kids and have conversations with the faculty and staff in order to ensure that their children didn’t feel excluded in any way because they don’t have a dad. Brandy and Susan considered a few schools before choosing one that would best fit their family. They even tried to hold themselves to finding a school that would have at least one other LGBT family so their children would have a classmate and family to be able to relate to. They also share how they helped the director of their school and the teachers learn more about their family. They provided the administration with information about their family such as what their kids called them as parents and some great children’s books that would reflect their family. Susan added that she’s very mellow and not into focusing that she’s in a lesbian or two-mom relationship, however, she adds that as a parent you have to make sure your kids are armed and comfortable: “If suddenly it’s Mother’s Day and you have two dads, you’re jacked.” She explains that it’s important to speak with teachers so that when situations like that arise, they have it in their head not to exclude your children or any other children who come from a diverse family. Brandy and Susan also encourage LGBT parents to volunteer at the school and be present for events so that other families, parents, and administrators get to know you and feel comfortable around your family and your children. If you work, Brandy and Susan have other suggestions for you such as setting up play dates or throwing a fun, relaxed event for the class at the park such as Brandy did before school started this year. Check out the video below to see Brandy and Susan explain their approach and give some tips on how to navigate picking a school and starting the discussions with teachers. 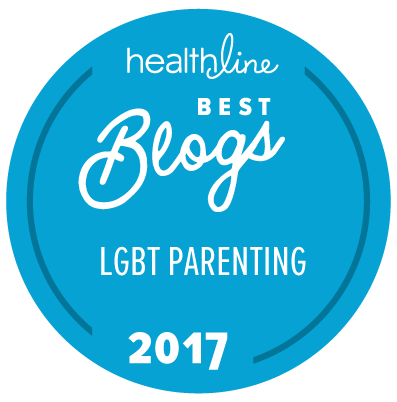 If you are looking for more resources for LGBTQ families, check our series which includes Two Moms Picking a Donor, Lesbian Moms What Do Your Kids Call You?, How Parenting Changes Your Relationship.